Earlier this month the United States administration of President Barack Obama utilizing the Office of Foreign Assets Control announced the extension of sanctions encompassing two fertilizer firms based in Zimbabwe which are owned by the Industrial Development Corporation (IDCZ), a government controlled entity. The Office of Foreign Assets Control included Chemplex Holdings and Zimbabwe Fertilizer Company on its sanctions list. IDCZ owns 100 percent shareholding in Chemplex and 50 percent in the Zimbabwe Fertilizer Company. IDCZ also controls 15 percent of shares in Sable Chemicals, Zimbabwe’s only ammonium nitrate company. Derick Sibanda, the spokesperson for IDCZ, said these actions by the Obama administration were “deliberately aimed at paralyzing” the agricultural sector of the economy and to frustrate the implementation of Zim-Asset, the Southern African state’s economic development program. The targeting of these two firms was encompassed within the broader sanctions having been in effect since 2003. These sanctions against Zimbabwe were in direct response to the land reform program of 2000 which seized control of 50 percent of commercial farms owned by the descendants of British white settlers who colonized the country during the late 19th century. Successive U.S. administrations have never been in full support of Zimbabwean independence even during the height of the national liberation struggle during the 1960s and 1970s. In the aftermath of independence in 1980, Washington sought to limit the degree of sovereignty and economic freedom enjoyed by the people of this agricultural and mineral rich country. 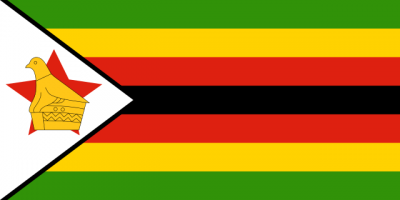 Although Zimbabwe has held numerous internationally-monitored elections since 2000, both the previous government of President George W. Bush and the current Obama administration have continued the sanctions. The Zimbabwe government led by the Zimbabwe African National Union Patriotic Front (ZANU-PF) attributes the bulk of its economic problems to the continuation of these punitive economic measures. There were no specific documented threats to the U.S. by Zimbabwe included in Obama’s declaration. The country maintains diplomatic relations with Washington where both states have ambassadors deployed in their respective capitals. These actions are taking place amid a mounting food deficit stemming from existing sanctions and aggravated by El Nino in Southern Africa which impacts climate and water availability in the throughout the region. The number of people in need of food assistance has grown to four million according to reports published in the state-owned Herald newspaper. Minister of Public Service, Labor and Social Welfare, Prisca Mupfumira, noted on March 14 that the government had enough grain stocks to cover the shortages and was speeding up the process to import grain to ensure no one goes without food. 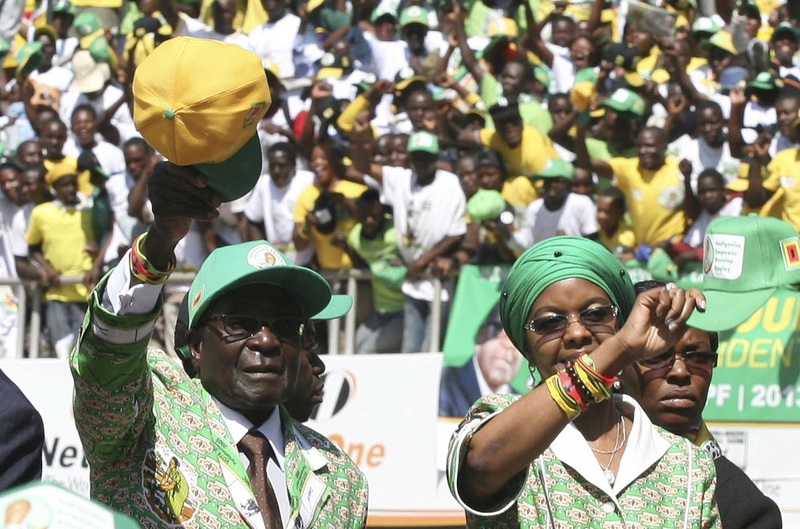 President Robert Mugabe in a speech delivered at a rally held in Bindura on March 18 said that despite reports of political sectarianism in the distribution of much-need food, there would be no discrimination based upon party affiliations. He sought to ensure the people of the area that the government was committed to bringing enough food to meet the burgeoning need. The sanctions not only target potential imports and exports but other institutions which assist the IDCZ. Barclay’s Bank plc was fined $2.5 million by the Department of Treasury for ostensibly violating the sanctions against IDCZ. On March 5, the Zimbabwe affiliate of Barclays announced that it was closing its operations inside the country. This could potentially have an even more devastating impact on the country’s ability to attract foreign direct investment. Even though the U.S. has expanded sanctions against Zimbabwe, the European Union (EU) has purportedly lifted most of its bans on conducting trade with the country. However, with Washington seeking to cripple the ZANU-PF government through blocking financial transactions as well, these measures will make it impossible for the resumption of normal relations with other states which do not have the same policy as the Obama administration. There is much speculation that the withdrawal of such a multi-national financial institution like Barclays from the African continent is indicative of an exodus of capital in the region. Neighboring South Africa is undergoing an economic downturn where the value of the national currency and the flight of private investment have been occurring over the last several months. Another economist John Robertson said that Barclays Bank Zimbabwe was a separate subsidiary and it was likely that its local banking business would continue, unimpeded by the withdrawal of the parent firm. “In years to come, when the country recovers, Barclays overseas might consider its investment options and might put more capital into the local bank, but as this current withdrawal affects the whole of Africa, Zimbabwe’s case for support will have to be a very good one,” Robertson said. Barclays has conducted business in Zimbabwe since 1912, making it the second oldest bank in the country after another British bank Standard Chartered.